Childhood is the most beautiful of all life’s seasons. Children are the most wonderful gift that we treasure for now and tomorrow. When it comes to education, we believe children always come first. There is so much potential in a child. In the journey of learning, educators and teachers work as a facilitator or a mentor to unleash the potential. We encourage children to try, we let them fall within the safety net, we help them figure out what is right or wrong, we make them realize they have a dream and they can reach for it! – Every child has the right to healthy living condition and high quality education. – A healthy environment constitutes better learning mood and learning efficacy. – The society, the home and the school play an interdependent role towards achieving common goals in education. – Every child is a unique individual who is eager to learn and become independent. – Like adults, children need respect and freedom of choice. – Children develop their abilities at different pace, quicker in one area than another. – Children should enjoy learning and the learning process must be developmentally appropriate. – To provide a high quality service that meets the needs of children and their families. 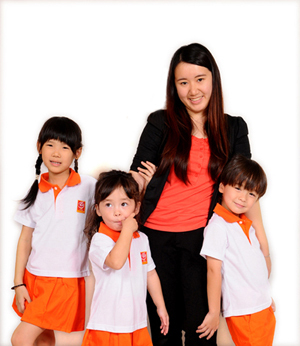 – To complement and support families in their child-rearing role as well as education needs. – To create a joyful, stimulating and courteous environment between teachers and children. – To continuously improve our curriculum, facilities and services. "It is not what we teach, but how we teach that sets us apart from the others."